Writing isn't just a hobby of mine. I'm in the business of telling stories. 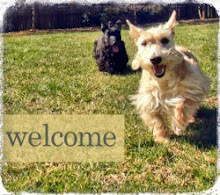 It's what I do professionally and at leisure (when time and the Scottie dogs allow). 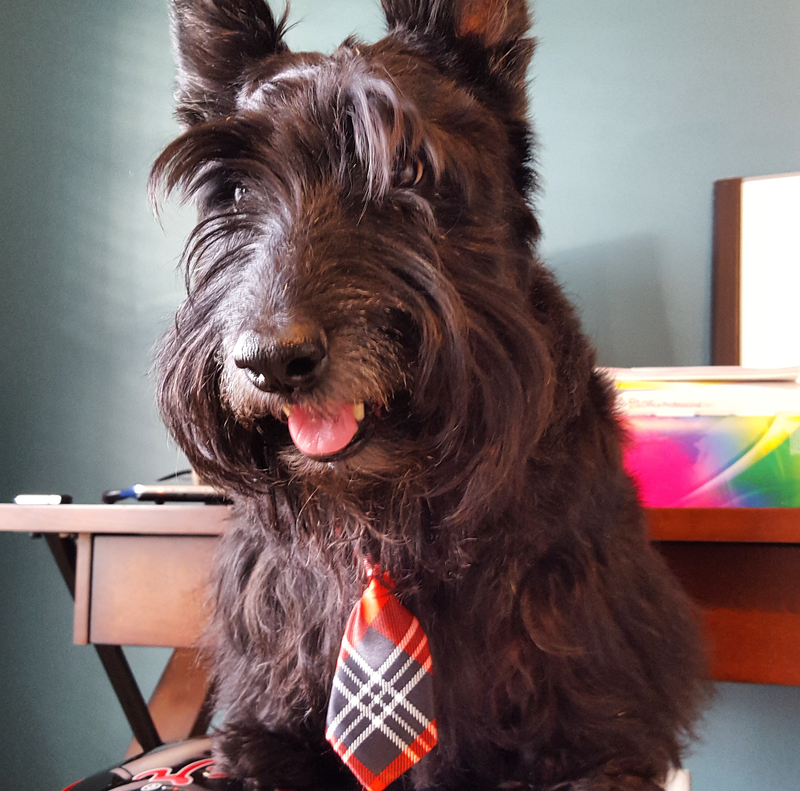 A little over a year ago, we announced a major life event: Scottie Mom was taking on a new job...one that would take my career to a new level and sadly, one that would take me far away from Heather & Mr. K every day. (We even had to hire a dog walker - our friend the Shih Tzu Mom - to help out during the week.) After a year of commuting approximately an hour and a half each way to get to this new job and back, we couldn't be more excited to announce yet another life event: Scottie Mom has decided to come home. A job much closer to The Scottie House presented and though we had been contemplating a cross-country move to California for another opportunity at the time, we decided to stay put in Atlanta. How could we move with our niece, a future Scottie Mom for sure, on the way? Just like that, the long commutes were gone. I learned soon after the old Scottie Mobile quit running that I now work only 1,500 steps away from our front door. Also gone are Mr. K's not-so-silent protests and the stink eyes I used to get from Heather & Mr. K alike when I would reenter the house so late at night. And it feels so good that we can finally say - to quote the lovely Adele - hello from the other side. We've been writing this blog for nearly four years now. When we first introduced them, Heather & Mr. K were 7 and 5 years old respectively. That's four years' worth of laughter, tales of adventure and helping fellow rescue dogs find homes. I suspect there will be even more laughter and inevitably, some tears to come as Heather & Mr. K enter into their golden years. Through the Scottie Mom community, we've shared much of their journeys in life together. And I can't help but wonder if after all these years, you'd like to meet? 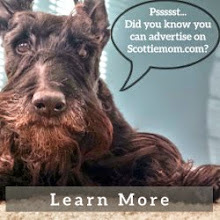 You know, to go over everything we love about Scottish Terriers! Haha! We think so, too. And hello to you! How are you, friend? So Happy for you all that you are now so close to home. I know your biggest fans, Mr. K and Heather could not be any happier either. Thanks, Bentley! We are happy about this opportunity, too. You'll be able to hear from us more often! Call me a bird brain but you described a job that could be done AT home and that would make H&K very happy. Oh, Kismet! While that would make Heather & Mr. K (and me) very happy, we think this current situation is the best possible compromise. Thanks for stopping by! Congrats on the new job. So happy it's one that allows you more time with the seniors! We know they'll love it, too. So happy for you! I work from home as well and Scotties make the BEST office-mates/ co-workers!! If you'd like to meet lots of scottie people, come to Wisconsin. The Door County Scottie Rally in May will have lots and lots of scotties and their people. It's a really good time. That sounds like fun! Can you send us additional information? Sure, it's http://www.doorcountyscottierally.com. The main event is Saturday, May 21, but there are optional events the previous Thursday and Friday. It is in Bailey's Hatbor, WI. My recollection was that there were close to 100 scotties there sometimes and more people than that. Most people come from the midwest, but there are folks that come from both coasts and sometimes internationally. We were California dreaming there for a while...we really liked it out there! Ultimately, family kept us here but we will surely be back to visit. I was going to recommend trying to get to the Door County Scottie Rally in WI but see somebody beat me to it. I don't even know how many years we've gone but it's wonderful and there are lots of scotties to hang with! I think we are going to have to check this event out! Sounds awesome! !